The kit is designed to be an easy build. In total there are only four wires to connect. Everything else is on the pcb. The most challenging part is the soldering of two surface-mounted J-FETs. Those J-FETs as conventional “through-hole” aren’t available anymore. That’s the reason I had to use the SMD-equivalent. They are very small and also ESD sensitive. Therefore this project is only suitable for advanced DIY-Folks. 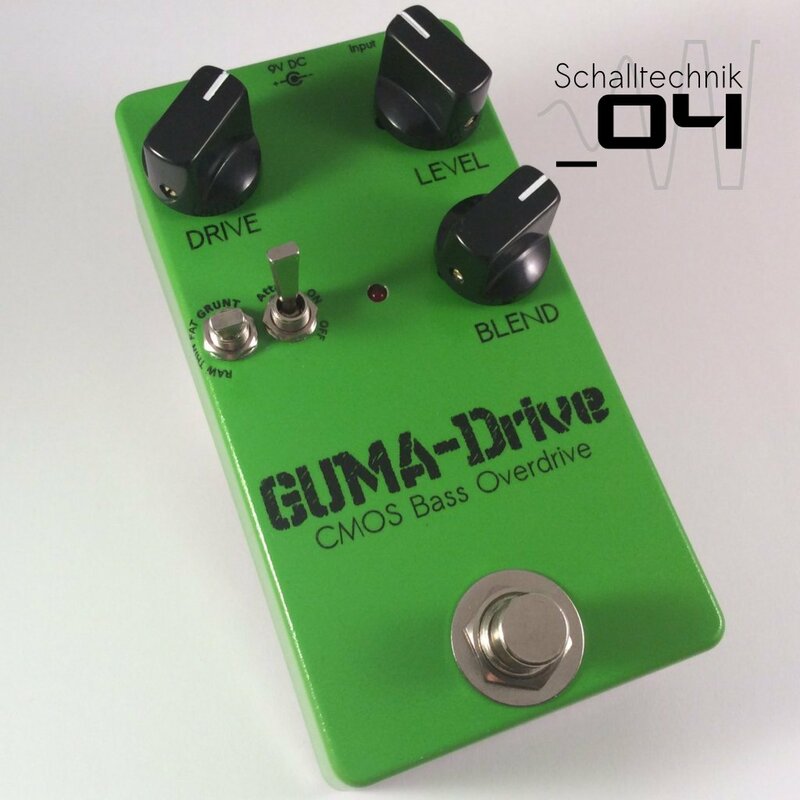 The GUMA-Drive features a relay based true bypass.